Pool Leaf Nets could be the answer you are looking for. 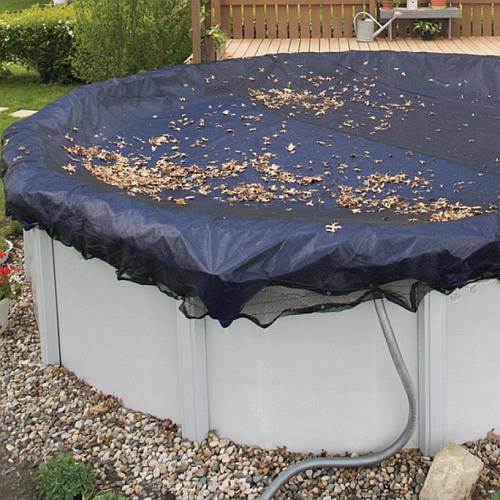 Tired of removing those heavy, smelly, decaying leaves from your pool cover each spring? A Leaf Net is the answer! 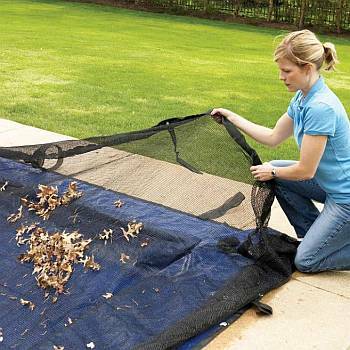 Simply lay the Leaf Net on top of your winter cover before the leaves fall, and remove it before the hard freeze hits. The Leaf Net has a fine mesh that traps the leaves and and other debris that makes it easy to keep your pool cover clean. This cover is made from durable polyethylene and carries a 4 Year Warranty. Leaf nets are designed to stay on top of your winter pool cover until all the leaves have fallen from the surrounding trees. 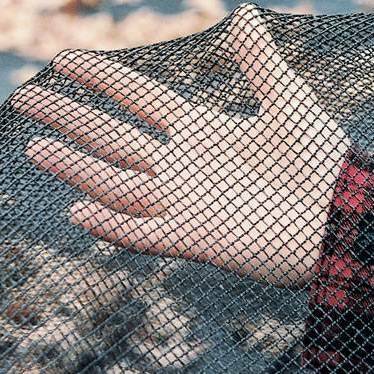 Remove the leaf net by slowly dragging it off the winter cover along with the leaves. Simply clean the leaves off the leaf net, DRY IT, and store in a cool dry place until next year. Nearly all the leaf nets from all manufacturers are made the same way with the same polycarbonate or polyethylene materials. The warranties are based on their confidence in the product they make. Most warranties are pro rated and limited to defects in materials & workmanship. Pro-rated means that after the 1st year, you will be given a discount off the Manufacturers Suggested Retail Price for a new cover and the discount will be less for each successive year. Damage by wind or other acts of god, neglect, etc. are not covered by warranty. How long your leaf net lasts depends a great deal on the weather, wind, the amount of leaves and debris you may have, and how you treat your cover and store the cover between uses. Leaf nets are purchased according to the size of your pool. The leaf cover will be bigger than the dimensions of your pool so you can anchor them with water tubes around the pool for in ground pools, and with the cable and winch of your winter cover for above ground pools.